2) My son would have attended Soft Play and other play groups. Though Dubai has some very lovely nurseries, they all cost quite a bit of cash. It’s something I can’t really afford at the moment, and so play groups here largely consist of taking my baby boy to small play areas in the shopping malls. I would have loved to have benefited from the support that other mothers offer at play groups and get a chance to socialise, as well as see my son have a great time with other kids. 3) He would probably have spent a lot of time in parks or running around in the back garden. This is a city of skyscrapers, and we like many others live in a flat in a high rise building. The balcony is our back garden, and as you can imagine, it is simply not the same. Also, the times that I take my son to the park have to be timed so that the blazing sun isn’t scorching us with its rays and this is only possible during the winter months. 4) His wardrobe would have been full of coats, jackets, jumpers, hats and missing gloves. At the moment, he has short sleeved t shirts and shorts! It takes up much less space and I love it! 5) He would probably have experienced his first snow fall by now. Here in Dubai, Baby Z did in fact experience his first thunderstorm and sand storms instead! 6) He would probably have been spoilt by all my relatives back in England. Here, we don’t have many family members and although I do miss them a great deal, I am also grateful that there isn’t anyone interfering with Baby Z’s upbringing and spoiling him rotten. 7) His British passport would probably have arrived much quicker. The application process was long and delivery time took well over 3 months by time we got his passport. Thankfully, we weren’t travelling anywhere soon so it wasn’t a huge problem but I’m sure the wait would have been much less if we were in England. 9) I would probably have had a bunch of midwife visits after Baby Z’s delivery. Here, once I was discharged from the hospital the next day after giving birth, I pretty much had to do the rest myself. Of course, I could go back to the doctors at any time, but there were no home visits to give me professional advice. 10) I would probably have had a baby monitor and had to buy stair gates. Thanks to the flat I live in, there is only one huge floor plan for my home and no staircase to run up and down on. I am so happy about this because I know I would be living in the constant fear of my child tumbling down the stairs like I once did. 11) My family would have saved A LOT of money on parcel costs! Who knew posting gift items abroad would cost a fortune!! 12) I would most likely not be a Stay At Home Mummy… And perhaps never created this blog! With God’s grace, me and my husband can afford our current lifestyle without me having to work, but I don’t think that would have been possible in England. This means I might not have been steered towards the Blogging community in my need for a creative outlet and missed my chance of meeting you lovely lot! So there you go! Looking back at this list, it makes me feel grateful for the life I had in England but also appreciative of all the new opportunities that my expat life has brought me. What are you grateful for? 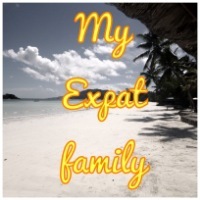 If you are an expat, have you noticed any key differences like I have? Awww can relate to this post so much only difference that my son would have had a different lifestyle back in India – pampered by family members, much open space to run about though the concept of play dates isn’t very popular there and probably myself not venturing into the blogging world. However, I love living in Dubai – much safer and there is a lot more quality eating, but I am sure it would have been different for you in UK. Thank you for your lovely comment! Yes I am so grateful for the great food and safety here too! ? Wow! Switzerland healthcare sounds AMAZING! Perhaps I will have to move there if I ever decide to have another baby! You’re right though, it is a privilege to experience all the different things that different countries have to offer! ? Haha thankfully my little one isn’t liable to join the forces… Its only the uae nationals that live here… Baby Z has a british passport so no need to worry about that. What an interesting thought, it’s nice to be reflective but it’s great your happy with your new life! Thank you for taking the time to read and comment! ? And great to see the differences you think there may have been as well. Thank you for the lovely comment! ? Thank you so much! The early months were quite a challenge but I really couldn’t have done it without my husband’s support and the blogging community! Mummy friends are few, but I’m more in contact with my old friends back in England! Thank you so much for your lovely comment and support… It means a lot! ? Thankyou so much! I would love to read your post and get to know more about Philippines too! Do send me the link when you post it! ? Great post. Although my Z was born in the United States, our home, we moved just after he turned 1. We moved from a 250 acre farm to a city and an apartment. We are home visiting right now and seeing him run and play in the fields makes me think about how differently he would be growing up if we were here and not there. Thanks for sharing. Thankyou for your lovely comment! Gosh the change from a farm to a city must have been so different! Must have been a very brave move! Haha yes the NHS is simply the best! I sympathise with the passport – took us 5 months in Sarawak! I was so relieved to have baby number 3 outside of the UK though. I did not get on with the maternity system there. They wanted me to have baby no 1 at home (umm no he would have died) and just nurses no doctor in attendance (umm no thank you). It was very difficult to arrange to have a doctor attending me throughout the process as is normal elsewhere. 5 months! I bet your little one looked nothing like the baby in the passport photo by that time! Ha! Gosh the maternity system sounds horrific! Must have been quite a scary experience, especially for a first time mum! Fab list lovely!!! It’s funny when you sit down and think about the differences isn’t it!? The birth plan thing is definitely something that makes me kinda sad, I’d love to be a little more in control of how things went with Arthur, this pregnancy I have been a little bit more forward but you are still very much told what will happen, what’s allowed and what’s not…..definitely no water births on the cards haha! The being away from family thing is an interesting one, in one hand you really learn a lot about yourself who you are as parents and do things your way but on the other hand there are definitely days where you’d love grandparents round the corner for 5minutes baby free peace!!!!! We also had no home visits, well apart from a 5 minute health visitor check once Arthur was almost a month old, but it was a joke!! 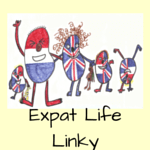 Thankyou for your kind comments and it was a pleasure being part of your expat linky! Interesting read! I like your honesty. As with everything it’s a question of balance and there are always going to be positives and negatives. I share a few of the negatives – no birth plan, no garden, LOTS of sunscreen – but there are also many positives to bringing up a child in Italy. Of those, the one that stands out the most for me is how child friendly Italian society is. Whenever we go back to the UK I’m shocked at how families are expected to do “kid only” things, and not interrupt adults who are doing “adult things”. Typical toddler noise isn’t really tolerated unless you’re at a playground or a Brewer’s Fayre! Here you can cart your kid along with your everywhere, even to a fancy restaurant or bar, and no-one will bat an eyelid. Quite the contrary: said kid will probably get a ton of freebies! It’s something I know would have been different had M been born in the UK, and I never stop appreciating it. Thankyou , I’m glad you enjoyed the post! You’re right, it is so important to appreciate these differences… They might seem small ad insignificant, but they make such a huge difference to an expat’s life! Thanks for sharing! My husband and I are abroad and go back and forth about having a baby while we’re abroad. We don’t see ourselves going home anytime soon but our family feels like they’d be missing out with us gone. There are definitely pros and cons, and some things aren’t good or bad, just different. Your list is a great perspective on different cultures and baby-raising. Thankyou for reading! It really is a gamble, and as you said, some things are just different, not good or bad. I suppose it’s all about how well you adapt to these situations and make the best of what you’ve got! I wish you the best in your journey towards having a baby! A lovely read and so interesting to hear your views; I had my first two in the UK under NHS and my third in Abu Dhabi. None of my birth experiences were ideal but I certainly don’t hold the NHS on a pedestal! I am glad though that I had my first in the UK, had I been entering things for the first time in the UAE I’d be lost, a lot of medical support but very little social support and after care – luckily I knew what I was doing by No.3! Thanks for the tips! Perhaps I need to keep reaching out as you say… Or even move to AD! Ha! Thank you for stopping by! ? Thankyou for the lovely comment! You’re right, the sunscreen is a pain, but sunshine is so worth it! Wow the Dutch way seems superb!! If only we could bring those principles into Dubai!! Thank you for reading! ? This was really interesting to read, all three of mine were born in the UK, although we moved when my youngest was just 4mo. So, for me (in terms of medical care) it was getting used to different immunisation schedules and terminology! It’s been interesting to talk to mums here in the US and see how different it is though. Apologies for the horribly late visit from #myexpatfamily, it really has been one of those months! Glad you enjoyed the read. Yes the different terminology of everything is definitely a struggle at time!! Thanks for reading… Better late than never! ? Oo looks like you have had lovely birthing experiences in the Netherlands. Thanks for reading, and I completely agree that it is all about getting the balance right! Lovely reading this..Zeyna,just been to london and im in love with it. Thank you and I’m so glad you enjoyed your trip to London. I agree, they do give antibiotics far too quickly here, which is why I always try home remedies or lozenges first.